It is that in-between time of the year that although winter is officially over it snows, and I am almost done with reviewing Spring Make-Up but there is no Summer Make-Up hitting the stores. Instead there are some in between collections, which I am excited about. Coming up next is Tom Ford Spring, which still didn't arrive the stores in Germany and Dior's new glosses and nail polishes. I believe Chanel's new nail polishes should be at the counters anytime soon. I have a few more items from Spring Collections which I would like to share with you before it is too late. I went on and ordered two of the products of Givenchy this year. It was more of an impulse buy. We don't have a counter in Stuttgart so my picks were solely based on... well... nothing? Poudre Lumière Originelle was looking too gorgeous to pass and Le Prisme Blush #41 Lune Rosée looked like something I could enjoy. 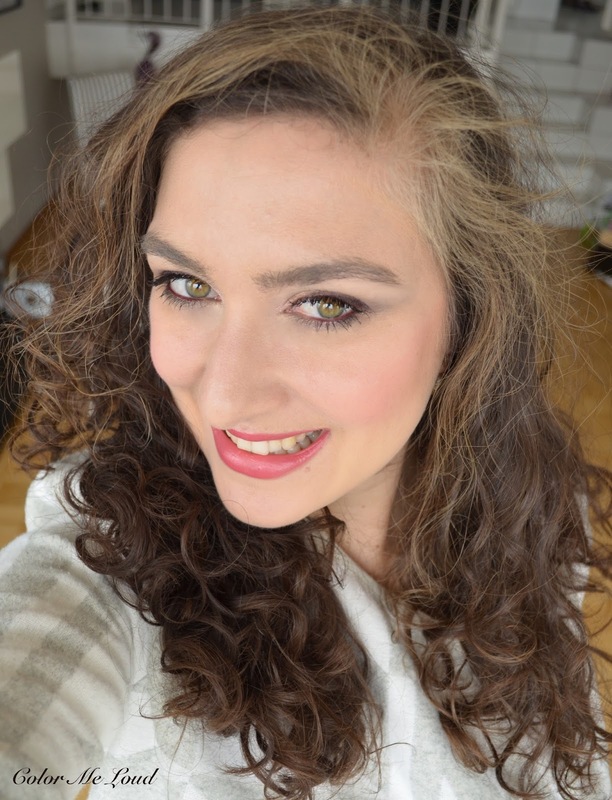 Some time ago I got to try Givenchy's Le Rouge lipstick formula and fell in love with it. I ordered several of those in the last months so I thought I combine one of my recent purchases, Le Rouge #204 Rose Boudoir with this post to show you a complete look. Is it just me or do you also feel that the make-up companies started to throw more and more pretty faces at us in terms of blushes, powders and highlighters. A few years ago there was only one or two releases of collectables each year now I can think of a dozen from different brands. I think they understood that we can't say no to lace patterns, flowers and all the pretty things. Givenchy occasionally insert their gorgeous patterns on bronzers too (e.g. check this review here) and gosh it hurts to use there! Actually although the embossment makes me buy these items, later on I feel bad about using them. Also powder products with pattern have a stiffer surface to protect the design which makes it harder to pick up the product with a soft brush. I had to run my finger many times for the following swatch of Givenchy Poudre Lumière Originelle, which is a very heavy handed one but once I swipe my brush over the surface, I can't see the powder being picked up. If you do it many times, you can see this one illuminating the face in a pretty way without getting heavy. I like the fact that it is pink because it makes my complexion look less dull too but I feel it would be better to have a soft powder on the surface. But ask me, would I buy it if the surface was flat? Probably not. Aaah the conflict of a make-up addict. The blush is a surprise, in a very good way. I believe there was a discount code or something so I needed to add one more item to the shopping list. I decided for the blush because Le Prism blushes of Givenchy had always been on my wish list. Givenchy Le Prisme Blush #41 Lune Rosée is a fresh neutral rose shade which is so perfect for Spring. I usually gravitate towards muddy, moody shades for the cheeks and end up with all the Fall appropriate colors. I know I will make good use of Lune Rosée this season. This one is nicely pigmented and stays moderately good on me. I mentioned a few times, I need blushes which stay put all day long and only a few brands deliver this. Givenchy's is not the ultimate long lasting blush but it stays put around 6-7 hours which is a good one for my blush eating complexion. And Le Rouge... If you haven't tried anything from Givenchy until now, this is where you should start. Their lipsticks are phenomenal! It is like butter while applying, very moisturizing, very creamy and pigmented and stays very well. Le Rouge is definitely one of my all time favorite lipstick formulas. I love Rose Dentelle too, you can see my review on that here. Currently I own like 6 of those and loving each and every one of them. I didn't come to review them all so I though I add one of my recent purchases in this post to complete the look. It is #204 Rose Boudoir. In this look I used Givenchy Poudre Lumière Originelle all over the face over Guerlain Parure Gold #11 Fluid Foundation (my all time favorite at the moment, review is here). 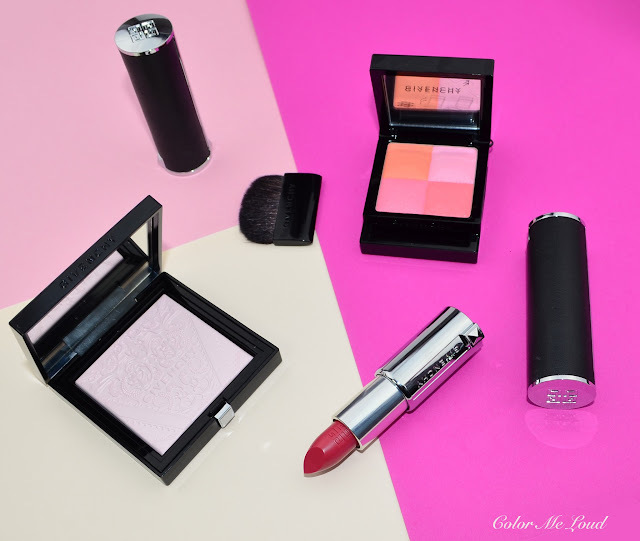 On my cheeks I am wearing Givenchy Le Prisme Blush #41 Lune Rosée and on my lips I have Le Rouge #204 Rose Boudoir. Rest of the Givenchy Spring Collection is very colorful. You can see a nice review at Melanie's blog. 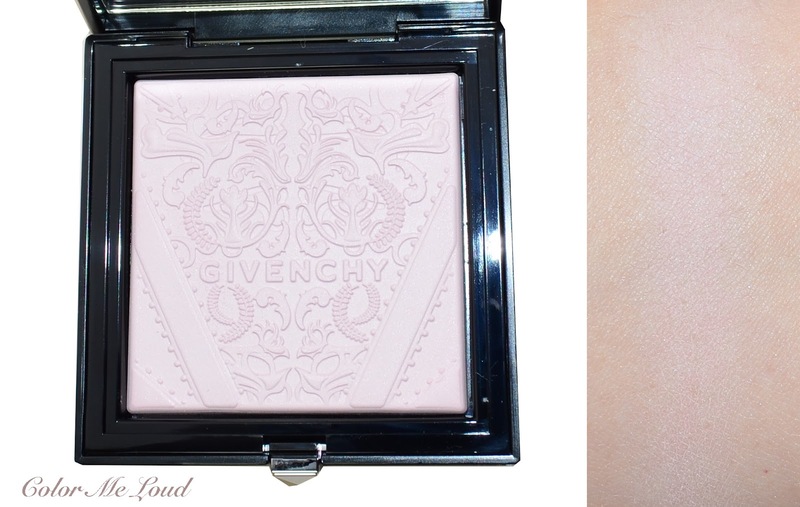 Final thoughts: I am on the fence about Givenchy Poudre Lumière Originelle. I think it is more of a pretty face and a collector's item than something to enjoy using. I love Le Prisme Blush #41 Lune Rosée though. It gives the perfect fresh Spring flush. Have you picked up anything from Givenchy Spring Collection? 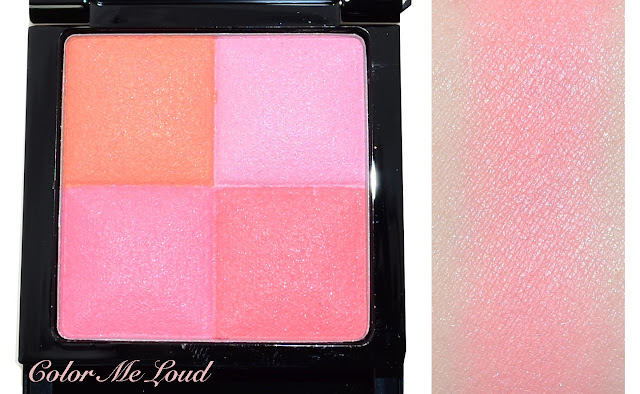 What is you favorite Spring blush? I'm very tempted by the Prism Blush in Lune Rosée! The highlighter is beautiful too, I like that it's not really shimmery but more of a brightening shade. This is a bit different from all the other highlighters that keep coming out! A pretty embossing is very hard to turn down ;-) I completely understand! The blush shade is super pretty. I have one of their Prism blushes but the name escapes me at this moment. It is lovely though! Danke für's Verlinekn :) Auf das Puder habe ich schweren Herzens verzichtet weil er mich im Laden leider nicht überzeugt hat. Dabei finde ich das Design so toll!! Den Bush wollte ich eigentlich noch aber irgendwie hat es sich nicht ergeben. Er steht dir sehr gut! Ich habe auch den Eindruck, das immer mehr Produkte mit hübschen Prägungen auf den Markt kommen. Vor allem im Bereich Blush und Highlighter. Seien wir mal ehrlich, deswegen kaufen wir doch noch viele Produkte :) Allerdings kaufe ich nur noch etwas, was ich auch vorhabe zu verwenden. In der Schublade versauern tut da nichts mehr. Daher muss es auch meinen Ansprüchen gerecht werden. Die Lippenstiffarbe finde ich ganz toll an Dir. Would you believe I haven't tried anything from Givenchy? If I were to pick something up, I think I'd go for their lipsticks. Looks gorgeous! 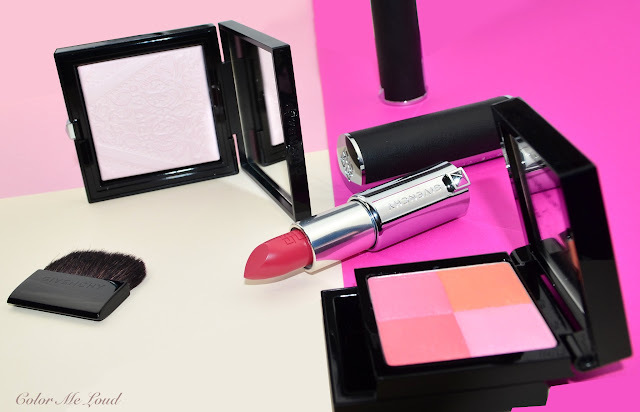 I have been meaning to get a Givenchy blush for years!! Now might be the time to do it :) I haven't tried Le Rouge but I loved the glosses they had years ago, I hope they'll bring them back at some point, they were lip gloss heaven. Thank you for the reviews I feel like Givenchy makeup doesn't always get all the love it deserves. Thanks for the reminder about Rose Dentelle. I have that and have to go on a stash search to find it. The blush looks pretty but I am waiting for my RMK! I haven't got the blush yet (I will buy it for sure later since I love Givenchy formula) but rose boudoir lipstick was the latest le rouge I purchased but I want to get Hibiscus too! Addiction is a poor word to describe my situation lol!